With the new Brimbank Community and Civic Centre due for completion next year, we're focusing attention on the future use of the Sunshine Municipal Office site in Alexandra Ave, Sunshine. Council is looking to determine the highest and best future use of the site now that it will no longer be required for office accommodation. Council only owns a portion of the building and leases the remainder from VicTrack. With the construction of the Brimbank Community and Civic Centre which Council will own outright, the Sunshine office will be surplus to requirements. The site is approximately 1.8 hectares and includes the Sunshine offices, the temporary library on McCracken Street and the Maternal and Child Health Centre. Council intends to sell the site, in a partnership with co-owners VicTrack, and will consult with the community regarding the proposed sale and begin the work required to rezone the land. 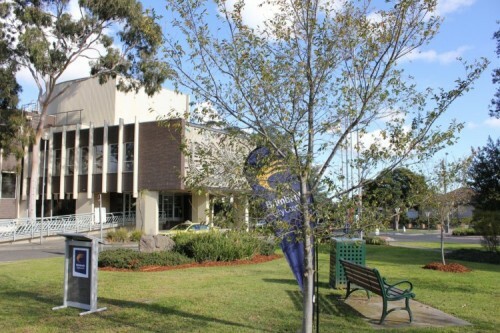 Council had previously adopted a business case for the development of the Brimbank Community and Civic Centre in 2012 which identified selling the existing office site to help fund the new facility. The site is planned to be rezoned as General Residential Zone which is consistent with the neighbourhood. The rezoning is also consistent with the Brimbank Housing Strategy Home and Housed that was developed and endorsed following extensive consultation. Council’s long term capital works program includes the redevelopment of the Alexandra Avenue Children’s Centre as a Children’s Hub over the next few years including relocating the Maternal and Child Health Service. The site is currently zoned Public Use Zone 6 which is for local government purposes. This is no longer relevant given Council will be relocating to purpose-built facilities. Chair of Brimbank Administrators, John Watson said, “This is an excellent opportunity to provide additional housing in Sunshine close to services and facilities including public transport, the Sunshine Leisure Centre, the future park on the former Sunvale site and nearby the town centre. “Promoting appropriate development supports the ongoing transformation of Sunshine and we want to make sure that the future use of the site achieves a great outcome for the community."